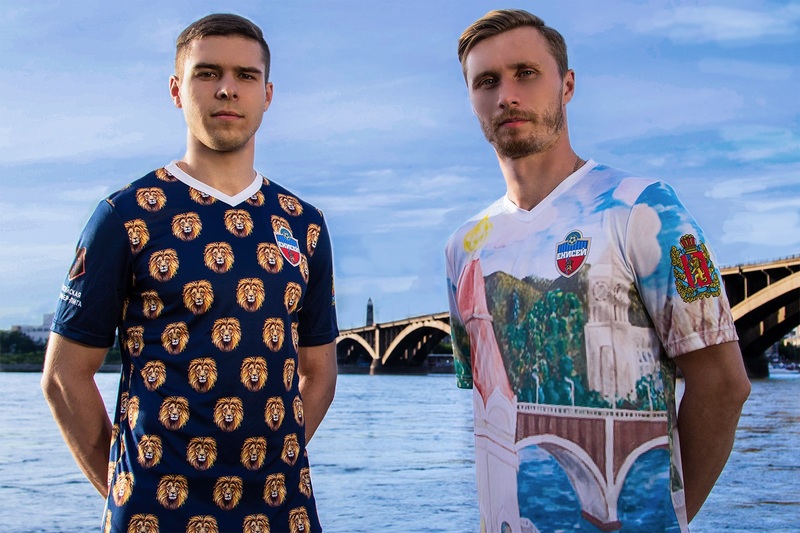 New Russian Premier League outfit Yenisey Krasnoyarsk have unveiled their home and away kits for the 2018/19 season and they are like nothing you will have ever seen before. After forcing their way up through the play-offs last year, Siberian side Yenisey are embarking on their first ever season in the Russian top flight. And they have ensured they will stand out big-time with their kits for the historic campaign. The shirts are sure to divide opinion sees the home jersey inspired by lions and the away kit inspired by the city. (HOME KIT) Lions are dangerous and single-handed, but when there are many, no force can resist their pressure. A lion never allows himself to be fed up with old successes. Every day for him - a new challenge, a new pursuit of a dream. We are not going to be content with former victories, and we: the first season in the Premier League awakens new aspirations in us. (AWAY KIT) We cherish in our hearts the memory of what city we represent. The new form is not only an opportunity to share our pride in Krasnoyarsk with fans and rivals, but also an additional responsibility for everyone who will at least once come out on the field.